For a dress code that is formal and classic and a dapper look this Jewels & Gents suit from Tip Top Kids makes a great pick. 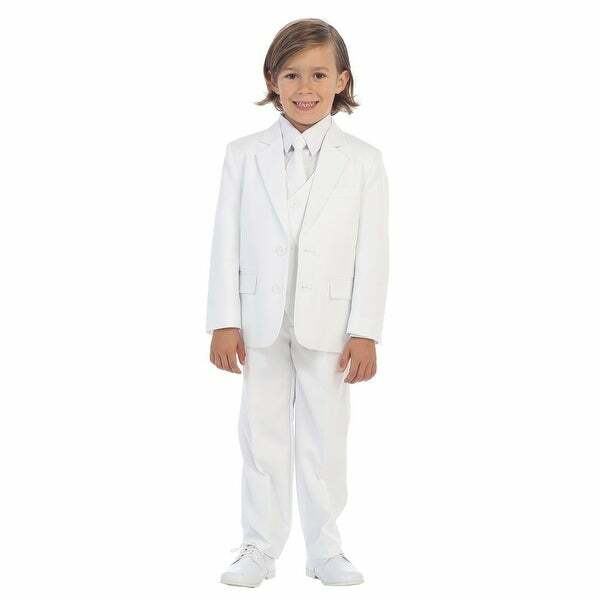 Well-fitted suit, great for any boy's wardrobe. Single breasted solid color suit set is made of 5 pieces: 2 button Jacket, Vest, Shirt, Tie and Pants. It comes in white color for a look that is both polished and distinctive. Suitable for little boys.